2015 was a great year! 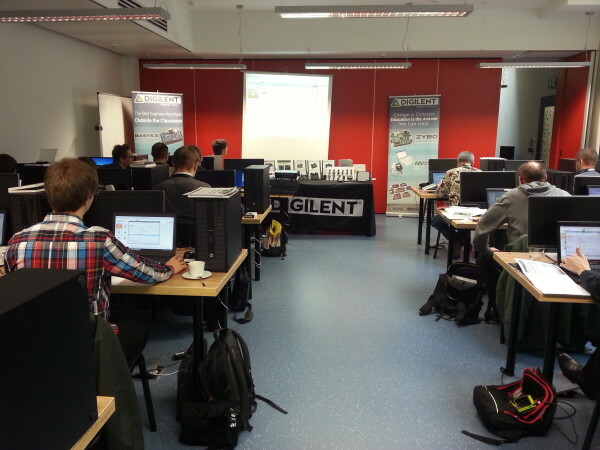 Throughout the year, we made sure professors and students were able to get their hands on Digilent products through the many events organized in collaboration with our distributors. 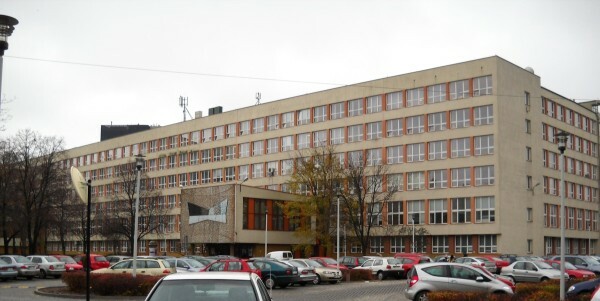 One of these events was a joint effort between Digilent and BTC Poland, our academic distributor with strong connections in academia. 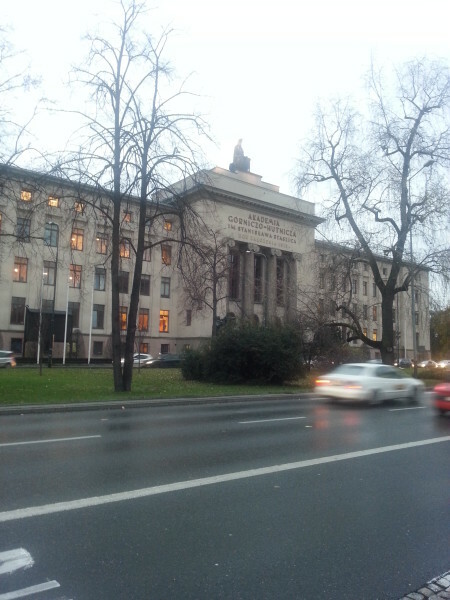 The workshop was held in two different cities at Warsaw University and AGH University in Krakow in November 2015. Piotr Zbysinski, the manager of BTC, and I introduced the participants to BTC and Digilent and their respecitive goals and common mission to bring the latest technology available to professors and students. Having this technology helps students to be more engaged in learning, develop an intuitive understanding of key concepts instead of just memorizing facts, and gain self-confidence about their knowledge of the subject. Cristian Fatu, the senior of the technical support team, introduced the attendees to both the Basys 3 and the Analog Discovery in one day. Attendees at the Warsawa University workshop. The first part covered Digilent’s Basys 3 and the free WebPack version of Vivado from Xilinx. 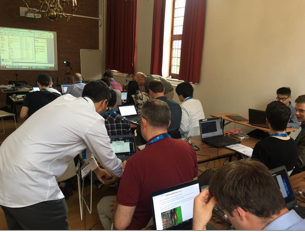 In this way, participants were able to experience the newest technologies both in hardware (the Artix 7 FPGA family from Xilinx) and software. After a lunch break, the workshop participants built simple circuits and analyzed their behavior with the Analog Discovery. Using the current/voltage tool on the simple LED circuit, they calculated time and frequency domains through Bode, Nyquist, Nichols diagrams for the RC low-pass filter circuit. 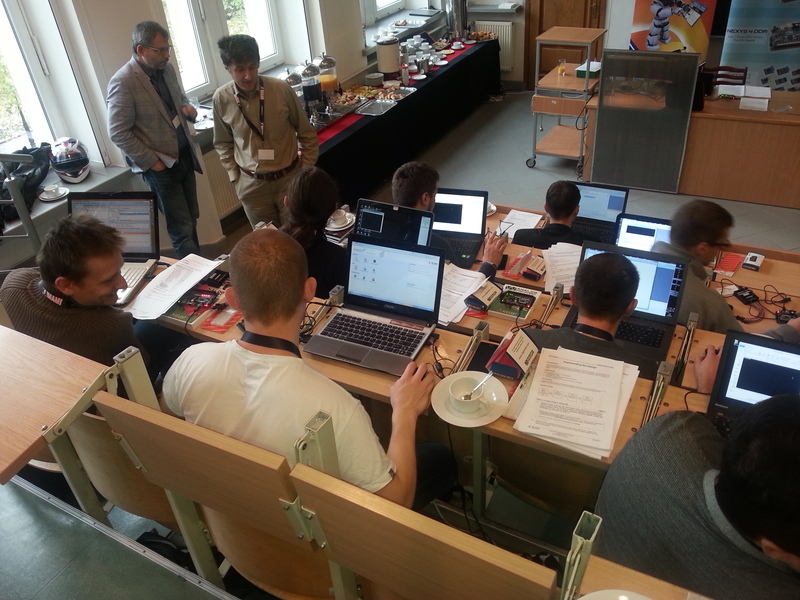 Attendees at the workshop in Krakow. It was a good opportunity to showcase the new Analog Discovery 2, which was well-received as an affordable tool for labs. 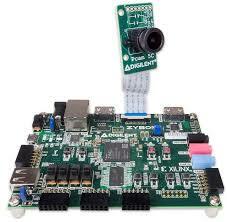 We also introduced the new Genesys 2 and Nexys Video for data and video applications. You can find the workshop materials at : https://www.dropbox.com/sh/m3qp1f8jhsfsw63/AAAUkbdMkQh1RdciRBwrSZLJa?dl=0 and a short video shared by Mr. Zbysinski at https://www.youtube.com/watch?v=bcEFu5SstHE. Stay tuned for more workshops soon! Fun! 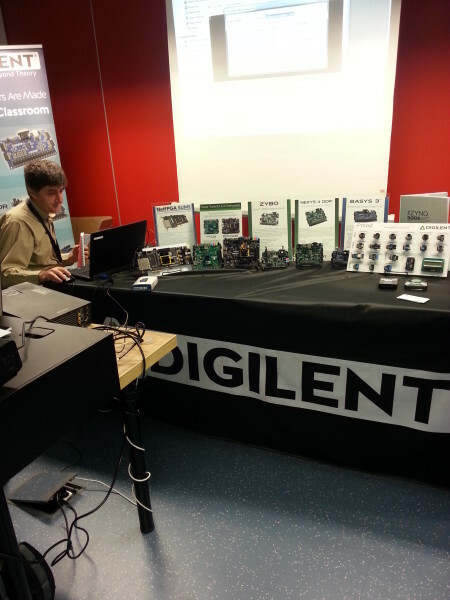 It looks like Digilent has quite the selection of boards to use!